Good morning. I hope everyone had an enjoyable weekend. I had Friday off, so it was a nice extended break for me. Unfortunately, we found out that the husband’s uncle passed away on Friday. It was sort of expected, but still very sad. Please pray for my husband’s family. We will be attending the funeral tomorrow. Wow, what to say after that? I didn’t take any pictures this weekend. 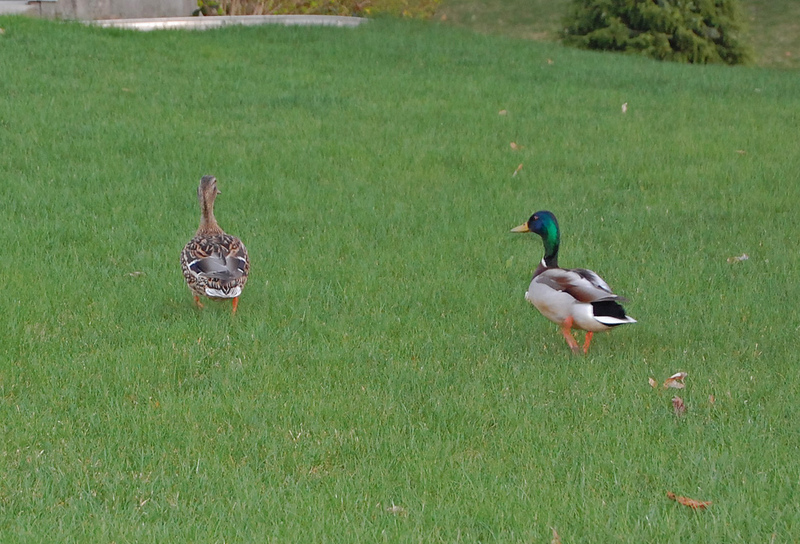 But I did take some last weekend of some ducks on our lawn. Exciting stuff huh? They were a cute duck couple. Someone was a little excited about the visitors. And apparently a little wet too. I’ll be back later this week with a more up-beat post, I promise. I'm really sorry about the husbands uncle. You guys will be in my thoughts and prayers. . .
*on a side note- the duck couple is adorable! 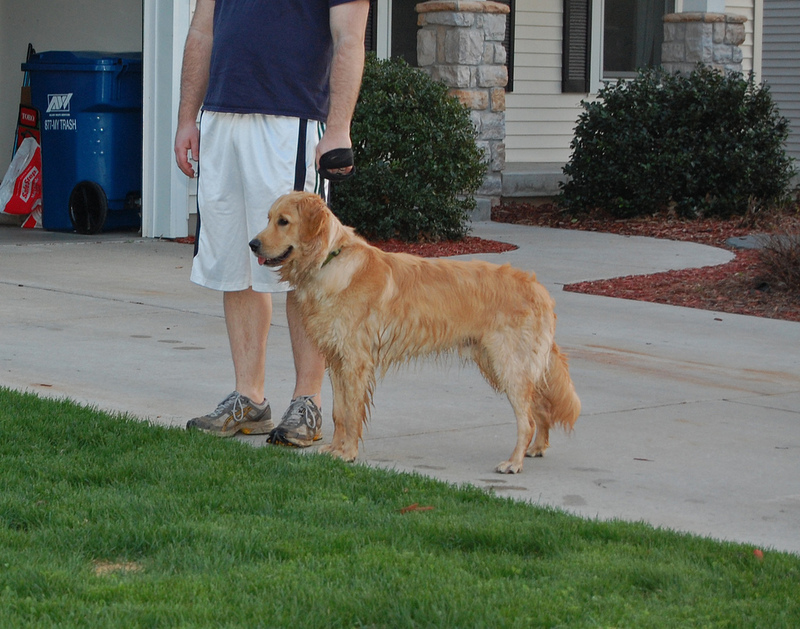 and wrigley isnt a little puppy anymore! he's a BIG puppy now! Love the duckies!! So cute!!! And sorry to hear about your hubby's uncle! Sending prayers for his family your way!